As the oldest European settlement on the Upper Mississippi River, Prairie du Chien is bursting with rich history that dates back to the 17th century. Hosts Mariah Haberman and Eric Paulsen explore the historic sites, exciting events and natural beauty that allows Prairie du Chien to blend the past and present with ease. Mariah begins her journey with a tour of the dungeon at the Old Crawford County Jail before heading to the Fort Crawford Museum to check out its wide variety of exhibits. The crew gets in on the fun by dressing up in period costumes and taking an old time photo at The Local Oven in downtown Prairie du Chien. Eric dives in to Prairie du Chien’s fishing industry with an early morning fishing trip along the river with Mike Valley of Valley Fish & Cheese, where they reel in over 200 pounds of fish before Eric samples some of Mike’s tasty catches at the shop. Prairie du Chien fully embraces its identity as a fishing community even throughout the winter with fun events like the annual ice fisheree on Gremore Lake and of course, the famous Droppin’ of the Carp on New Year’s Eve. Mariah and Eric each check out a few of Prairie du Chien’s iconic spots, including Pete’s Hamburger’s, which has been serving up delicious burgers for over a century, and St. Feriole Island, with its beautiful gardens and picturesque views of the river. Mariah visits Shiahata’s orchard, and Eric joins in the action at Villa Louis during its annual War of 1812 reenactment before hopping aboard the Maiden Voyage tour boat for a scenic journey down the Mississippi River. 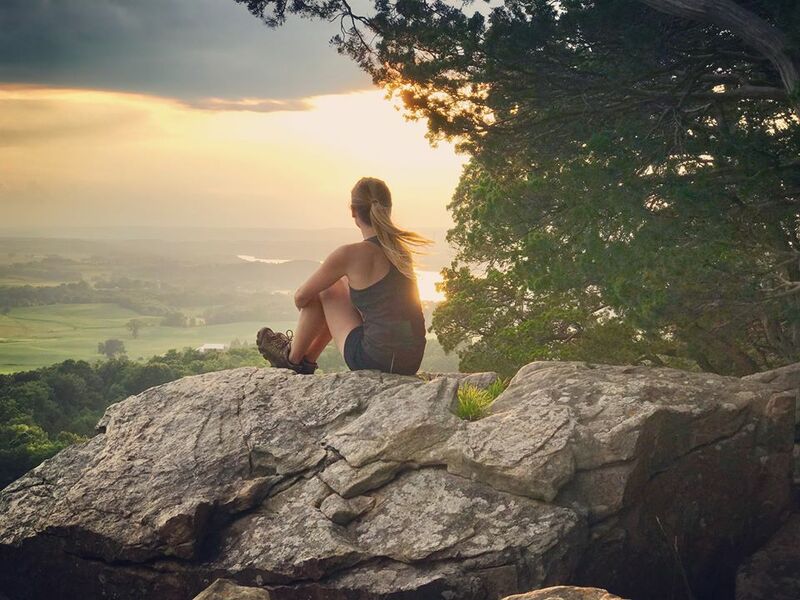 With its incredible beauty, fascinating history and unique events, there are so many reasons to explore Prairie du Chien! The views in Prairie du Chien are unparalleled! The DW Crew films at the dungeon at the Old Crawford County Jail. Mariah films a scene in the dungeon at the Old Crawford County Jail. The DW Crew had to get in on the fun at The Local Oven in Prairie du Chien! Villa Louis, a Wisconsin Historic Site, hosts the Carriage Classic every year, where people can dress in period costumes and compete in horse-drawn carriage events. St. Feriole Island Park is home to hundreds of beautiful blooms! Views of the Mississippi River from the Maiden Voyage tour boat. Prairie du Chien is located in southwest Wisconsin along the Great River Road, which winds for 250 miles along the banks of the Mississippi River. This National Scenic Byway is known for its breathtaking views of geological formations lining the riverbanks and adjacent bluffs. 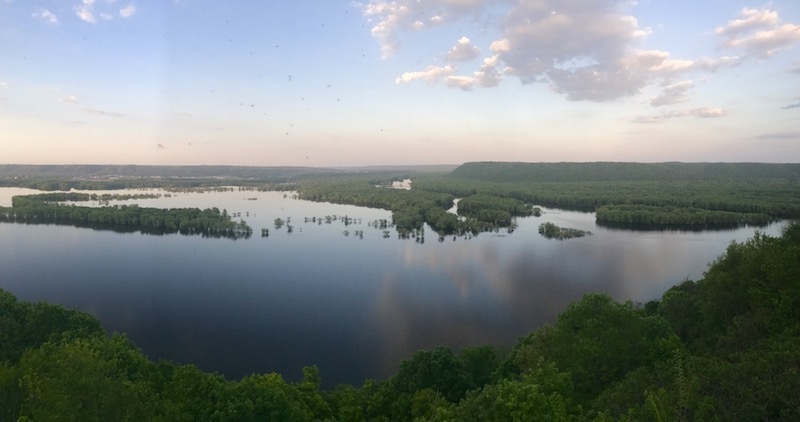 It is also were the Wisconsin River meets the mighty Mississippi, which you can see from several overlooks in the area and makes Prairie du Chien ideal for kayaking, canoeing, hiking and fishing. As the second oldest community on the Mississippi River, the area is also known for its rich history, with records dating back to the 17th century. Many of these historic sites have been preserved and are open to the public for visitation. Make sure to check out the local bed and breakfasts, pubs, and shops. And for a quick bite to eat, stop by Pete’s Hamburger Stand, which has been serving up its iconic burgers for over a century! Prairie du Chien is located at the confluence of the Mississippi and Wisconsin Rivers. Built in the 1860s as a hotel, the Dousman House is now a beautiful local landmark and event space in Prairie du Chien. A stroll along the riverfront in Prairie du Chien is a must for every visitor! Enjoy scenic outlooks along the many bluffs and hiking trails along the river in Prairie du Chien. The sunsets from Wyalusing State Park near Prairie du Chien are incredible! You can't beat the views in Prairie du Chien!